The owning family of Fieldguard have been involved with horses for over 300 years and bred high quality American Quarter Horses for over thirty years. Whenever they saw a need for something for the safety or well-being of their own stock, that was not readily available or too costly, they developed, or adapted, a suitable product. The initial product was the then totally revolutionary form of tape fencing – which was too revolutionary for anyone to wish to sell. This led to the establishment, in 1984, of Fieldguard as a direct sales company. Most of the products we offer at Fieldguard have been developed by horse owners for horse owners and are made with the safety and comfort of horses as a prime concern, combined with quality and best value for money. They need to be durable and long-lasting. This same ethic is now continued into our ever expanding range of products for use in other markets. 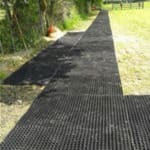 The field mats, which are used for grass protection and gravel containment, are also widely used in many other areas, such as safety surfacing in playgrounds, and slippery pavements. The mats are fully tested to BS EN 1177 and their anti-fatigue properties have been appreciated in other spheres. In turn, the under mat stabilisation mesh has proved ideal where temporary protection of grass or lawns is required, for it is tough enough to take the weight of vehicles. Green Gloop, while initially developed as a stable cleaner, has found many outlets in kennels, catteries, general animal housing, and in the home. With the interlocking mats it was the other way around, for they were developed for outdoor playgrounds, but the thicker one proved to be the most superb of stable mats; while the thinner one is primarily used for garages, damp cellars, roof terraces, gyms, offices, shops and everywhere where a soft, waterproof, hard wearing, easy to clean, warm surface is needed. Our solid rubber mats also have excellent soundproofing qualities, making them ideal acoustic barriers. Most of our products come directly from the manufacturers, so you, the end user are achieving the best value for money. They are thoroughly trialed and tested. We do not make outrageous claims for their properties to gain sales. An apparently identical product – mat or fencing – at substantially below the normal price; is that price for a very good reason. A cheaper 10mm wall mat does not have the non-injurious properties of a 25mm one. Our fencing is a fair price, dearer than some and cheaper than others, but we are the only company that both weave our own tape and has installations coming up to their third decade. Others often can barely achieve two years wear. Caveat Emptor. 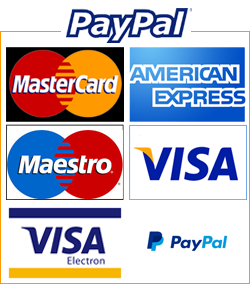 If you cannot find exactly what you seek or need help with your order, please call us on 01483 275182, for we may well have something suitable. We are one of those old-fashioned companies that like to help. A contented customer is the best possible advertisement. It takes 1,000 happy customers to make a company, and one unhappy one to break it.